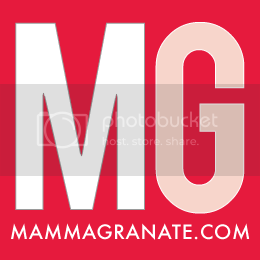 mammagranate: I Heart My Sodastream! I heart seltzer. Seriously. I love it. It's just about the only thing I drink. Especially when it is so hot outside. A few years ago I decided to quit drinking pop (yes I call it pop). Looking back, I am glad that I did this because my kids are constantly drinking out of my drink (which I hate), but even if it's little sips here and there I would much rather them drink seltzer than soda. Sometimes if we are feeling really crazy we will put a little orange juice into it to make orange pop. This is a family tradition that has been passed down for generations. (Well at least one generation.) Basically you mix half orange juice, half seltzer, call it pop and hope no one learns of the truth until they are in college. Before the SodaStream, I was buying two twelve packs of seltzer per week. So I did some research and purchased a SodaStream and it was life changing. No more cans for the recycling, which is honestly one of my favorite parts. Who doesn't want to save the Earth a little? Another awesome thing is it takes up less space in the fridge. 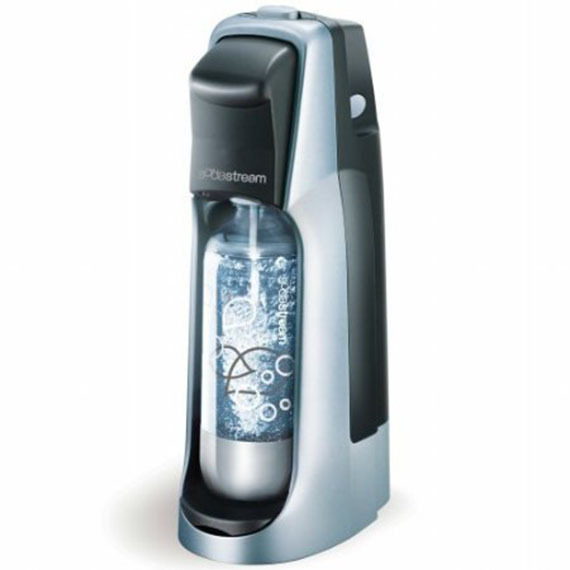 I purchased a SodaStream Fountain Jet Soda Maker Starter Kit similar to this one but in silver, and it came with flavor samples. I suggest buying an extra two pack of bottles ($20) and an extra CO2 canister (I think I paid about $25 at Bed Bath and Beyond). This way you have a backup for when you use up a CO2, because if you are like me, this would be quite a travesty. You can return the CO2 cartridge to places like Bed Bath and Beyond and Macy's. They will give you a monetary credit toward your next refill. The refills cost about $15 when you bring back the empty canister. I drink mine plain (or with fresh lemon), but they do have a wide variety of flavors. The taste pretty good and I would compare them to a standard generic soda. They have regular soda, diet, energy drink flavors, lemonade, and they cost anywhere from $5-$10.